We have many exciting and enlightening talks lined up for you across the weekend from renowned international speakers who are also authors. Each speaker brings their own unique perspective on the kingdom of elemental beings and our place alongside it. We are at a momentous time in human history when scientific and spiritual inquiry is coming to the same conclusion – that other realms, invisible to the human eye, exist, and are realms peopled by conscious and intelligent beings. Nature Spirits dwell in the etheric realm and work with and within the elements of earth, air, fire and water to create and support all forms on our planet. Their deep desire is to co-create with human beings a world that is in harmony with natural and spiritual laws, a world which will, as a result, be healthy and beautiful. Tanis Helliwell MEd. is a mystic who has been seeing elementals and beings of other realms since childhood. The beings of the elemental world have gifts for humans that can be of great significance. To earn these gifts, however, it is necessary for us to cooperate with them and to ask how we can support them in their work of transformation. Higher elemental beings are usually bound to their tasks in nature but there are some who, due to their stage of development, can draw closer to human beings. These elementals see what we don’t, the vital position that human beings hold in relation to nature and the development of the earth. And they suggest actions we can take – the results of which, to the elementals, are like “pure, liberating, healing light” whereas our unconscious activities invisibly work like poison in their world. 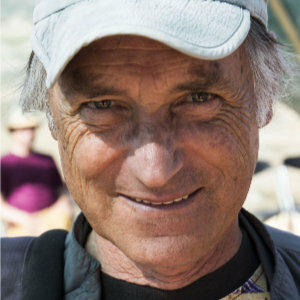 Author of School of the Elemental Beings (2011), Karsten has been delivering seminars on supernatural perception since 2004. We are a species at the end of an era in which we have sought to control everything with our five-sense based reason. However, our collective mind-dominated personality is in a process of transforming, and a new multi-sensory human is beginning to emerge. For decades we have isolated, separated and labelled things in order to make sense of our physical reality. Now, the nature spirits are calling us to do the opposite; they are urging us to see and experience the sacred holism and interconnectedness of all life, and to venture beyond the visible light spectrum. Everything in the elemental world knows what is happening as it is happening; it is the living wisdom of our planet. When we open up a channel of communication with the nature spirits we can access the Truth — a valuable commodity in a society bewitched by so much disinformation. The elementals and nature spirits are waiting to be reunited with us, and, as emissaries of higher spiritual beings, they wish to be of great assistance to us at this time. But for this to happen, we have to step into their world and meet them in their own territory. Based within the context of this expansive and living reality, Susan’s presentation will explore the supersensible substance and dynamics of the elemental kingdom and then look at ways in which we can work in co-creative partnership with them. Susan presents talks and workshops around the UK offering a practical methodology for communicating with the realm of Nature Spirits. In his keynote presentation, Ian will outline clear methods for the development of capacities that allows one to see and interact with the worlds of nature spirits and, critically, how one can differentiate between what are memories, fantasies and true intuitions. He will share his own story and some of his experiences and encounters with different beings – such as the beings of rivers and of famous paintings – and describe how he was able to work with them. Ian will also speak out of his own insight about our chakras (“wheel” in Sanskrit, the traditional term for our internal spiritual “organs of perception”) which, when correctly developed alongside other organs, can allow us to merge with parts of a “World-Mind”. Ian has been working with Rudolf Steiner’s method of developing spiritual-scientific perception for over 45 years. To be able to exist and to create upon the Earth we humans as spiritual beings had to accept cooperation with the elemental worlds of Gaia (the Earth soul) and develop our own elemental identity. Meanwhile the elemental beings are not only reviving nature around us but also enabling individual human beings to be alive and creative. For us to cease living on Earth as its passive exploiters, we need to recognise ourselves as an integral part of Nature and of Gaia’s landscapes in a “sister-evolution” to that of the fairy worlds. Since 1992 Marko has been working worldwide in the field of ecological healing of natural and urban landscapes through group work and lithopuncture (Earth acupuncture) projects. I'd like to hear about future conferences and events too! Weleda UK, our lead sponsor, produces award-winning natural body-care products and remedies, while the Biodynamic Association represent farmers and horticulturists whose approach is “beyond organic”. Both organisations recognise the existence of nature spirits and their vital role in the living processes of water, the land, plantlife and the animal world, the reason why these organisations actively sponsor our conference for which we thank them.